Home is where the heart is, and the kitchen is where all the magic starts. Doubling up as workspace for your culinary adventures, family gathering room, morning start point, or even for mere relief from a busy day-to-day life, a kitchen plays absolute central in a home. And with such an important part to star in, the look and feel of your kitchen worktops, walls, ceilings, and floors, all add to the ambience and usability of this busiest room in the house. Shop below through our huge range of designs. 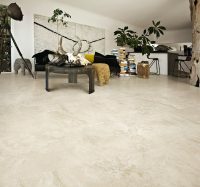 Looking For Kitchen Wall and Floor Tile Suppliers? When you start planning the style of your kitchen—whether from scratch or as an update—begin by projecting a personal vibe. But simple walls and gleaming modular assemblies may feel incomplete. This is where kitchen tiles would come into play. Instantly livening up whatever surface they are used upon, kitchen tiles will set the tone for things to come décor-wise. 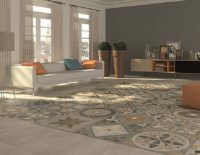 Developing a beautiful theme and style for the kitchen, and choosing the right kind of tiles to tie it all together may seem daunting at first. But with these stylish and handy tips curated by our experts, you can turn this custom project into a breeze. Once that “personal vibe” begins projecting, jot down these selection of pointers below to start envisioning the final result. Although themes go in and out every year, some ideas remain forever classic. When carefully planned and executed, classic themes provide decades of fabulous durability that is pleasing to your eyes. Below are a few ideas to get you inspired! Beautiful tones of ivory, complemented by kitchen tiles in different textures… the charm of Romanesque spaces lend beautifully to their surroundings. Picture large white consoles, stucco on the walls, mosaic tile floors interspersed with patterned tile borders, and splash-backs created out of glossy wall tiles. Marble or granite tiles on the worktops finish off this look. And the myriad shades of white ensure that the kitchen looks open and inviting, creating an illusion of space. Cozy and warm, country-style kitchens are great to create an all-around colourful ambience. Earthy floor tiles, quirky-patterned splash-backs, a statement wall made of brick-like tiles, and cabinets of wood! Use generous amounts of browns, olives, maroons, and pastels on a variety of surfaces, and bring it all to life with kitchen tiles that are just as good to look at, as they are sturdy and resilient to wear and tear. Modern and fuss-free, a brush metal theme would bring together clean geometrics together with metallic accents to create a kitchen straight out of an upscale fine-dining restaurant. Aficionados of such bold takes would love kitchen tiles in various tones of grey and black, combined together with just a hint of texture such as marble or granite and plenty of shiny metal fittings including mini-strobe lights and industrial chandeliers. Ideal for a kitchen backsplash, our recent article covers a huge amount of stylish splash back ideas and options for you to choose from. Fancy a bit of this and a bit of that? A breakfast counter with pop-art style stools, overlooking a floor made of gleaming aqua kitchen floor tiles? How about an international or Mediterranean look? Browse through our samples for ideas and inspiration as we stock a huge range of floor and wall tiles that would be ideal for your kitchen. If this is you, you indeed want to derive the best of everything. The key here is to balance it all out, and make sure that all the elements you plan complement each other in some manner. 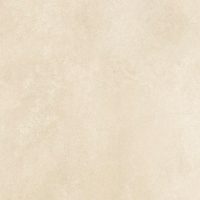 Atlas Ceramics’ large range of kitchen tiles will get you started right out, while giving you a plethora of options to mix and match to your heart’s content. You have your idea sorted and now its time to understand about placement of tiles. Kitchen tiles aren’t solely for looks alone; they perform important functional tasks and protect the foundational elements of the space. 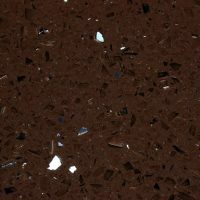 You would need kitchen tiles for the following surfaces! Unlike bathrooms, you won’t need to tile as high or wide, as tiles are often decorative and serve the more functional areas of kitchens. One of the most important surfaces to protect, everyday cooking and using of the sink of course will create splatters, grease fumes even if you have a super-powerful ventilation system, microscopic gunk build-up, and general spillages. Now imagine all of that unsightly stains hitting your wall directly, where the worktops meet its surface. That is why splash-back kitchen tiles are so important. They not only protect your walls but ensure easy, hygienic cleanups and stain prevention. But obvious any room would have a floor! But kitchen flooring should be your go-to choice because unlike the other areas of your house (the bathroom being an exception), your kitchen flooring would have its fair share of spillages, breakages, scatterings, and sticky goop. 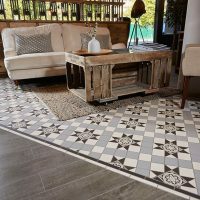 Tiles make it easy-peasy to clean up, and unlike wooden or vinyl floorings, would last you forever. Sturdier kitchen tiles would take the brunt of steam mopping, chairs scraping, and coloured food dropping and still look new as ever. A tile-lined worktop will ensure long-lasting durability, easy cleanup, and a sturdy surface to do everything from meat hammering to dough kneading. Even if you buy a modular base with integrated cabinets and such, having the worktops finished off with wide kitchen tiles will elevate the look and feel of your kitchen, alongside providing true and versatile functionality. 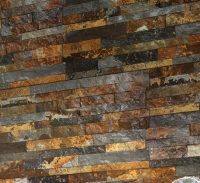 Marble and granites remain ever-classics; yet you can get creative with any of our kitchen tile ranges. Every product listed in Atlas Ceramics has an easy tile calculating feature. Begin by entering the tile size, and then the room dimensions to get a precise idea of how much you should purchase for your latest kitchen project. 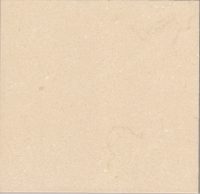 Prices are displayed on every page, along with the ability to choose to purchase a sample of the tile you like. Details of prices and delivery can also be found on each product page. If you need help, we are available to answer your queries anytime. If you are hiring a professional to do your tiling, they should be able to accurately calculate your needs. Always order a small set of extras for future maintenance. 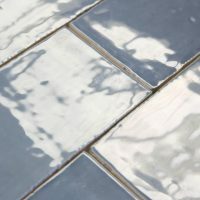 Although our tiles are of the highest possible quality, human error can sometimes leave a scratch, or a chemical cleaning agent can produce surface marks. Mistakes do happen, and you would have the option to easily fix small areas or a single tile without worrying about finding the same type of tile stock, say 8 years from now, or worry about having to replace an entire surface because of a single unsightly mark. 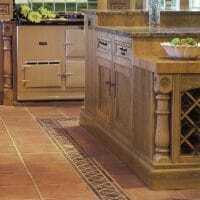 Because it is the busiest room in your house, kitchen flooring will face its fair share of messiness on a daily basis. Wipe all visible tiled work surfaces every day with a cloth removing food particles, moisture and condensation, grease, and dirt. A few times a week, opt for a deep clean to remove grease between grooves and anything else that may have accumulated on these due to cooking food. If you are using a cleaning agent, make sure that the chemical composition is absolutely safe for your kitchen tiles, and make sure that you test beforehand on a hidden area. Floor tiles should be mopped on a regular basis to keep them shiny and clean. Sweep or vacuum first to remove dry dirt, and then use a wet mop. 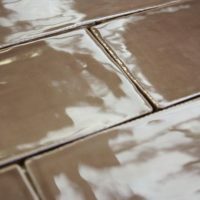 If you are steam cleaning, make sure that your tile composition is made to endure such a process. Ceramics can be easier to clean, especially in a messy area such as a splashback. Keep your tile grout mould-free by regularly ventilating your kitchen, and making sure that humidity levels in your house are optimal. Never use anything harsh and abrasive on your tiles, especially the adhesive. Agents like bleach can discolour kitchen tiles whereas an acidic cleaner can damage the tile grout. A rough scrubbing pad can leave marks on the tiles and remove colours over time on ceramics tiles. A little care can go a long way in ensuring that your tiles continue to remain durable and beautiful for decades. Prices and samples are available throughout, or you can get in direct contact with us for more information on what we have in our online shop. We’re more than ready to discuss colours, ideas, delivery and prices with you to give you better ideas of what range might suit you. 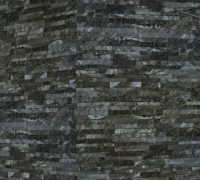 Browse through tons of the latest, modern trends in our ceramic and porcelain collection, or dive deep into our huge range of natural stone tiles and our latest mosaic tiles. Finally, visit the Atlas Ceramics Installation Gallery to see some creative designs and usage of tiles direct from our online shop. Good luck!